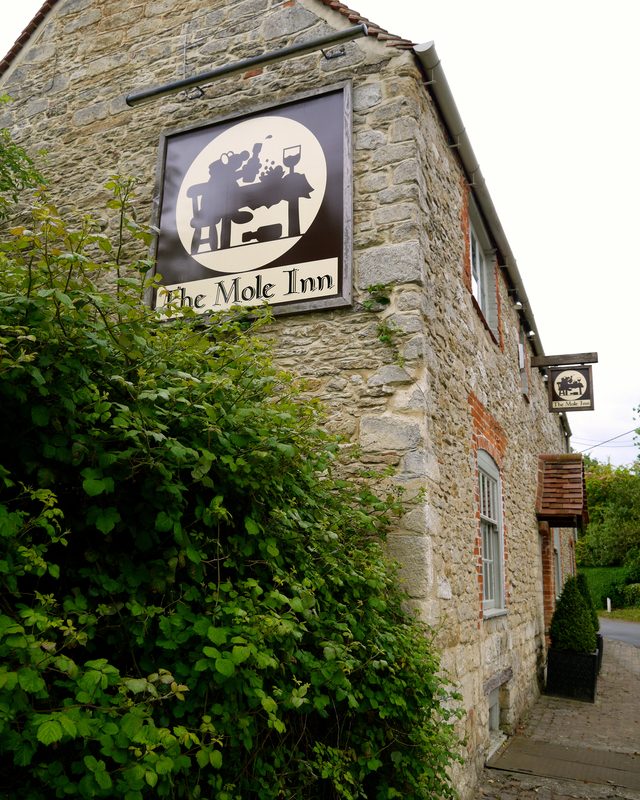 This weekend took me for a little jaunt to the country – and lunch in the most charming Oxfordshire restaurant, The Mole Inn. 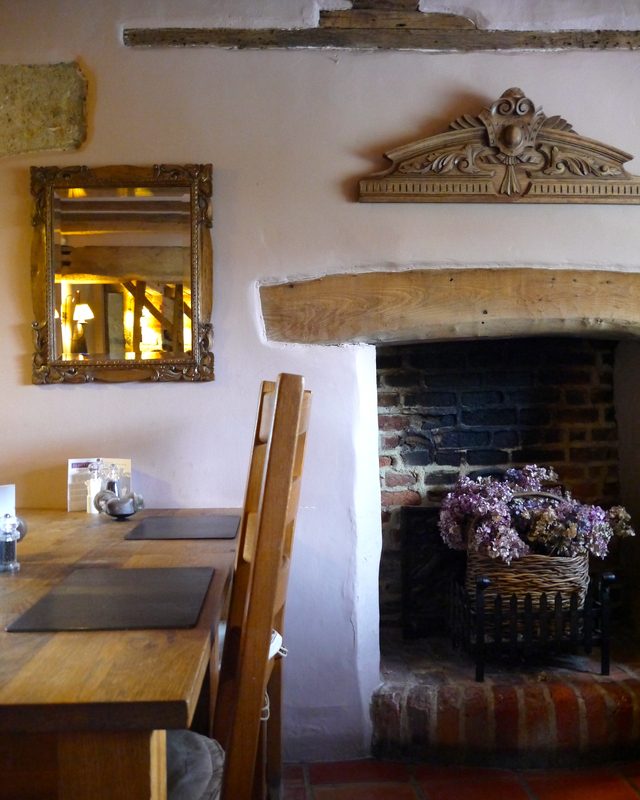 Located down a leafy country lane in the rolling hills of Toot Baldon, the inn has stunning English gardens and a cosy dining room with wood-beam rafters overhead. 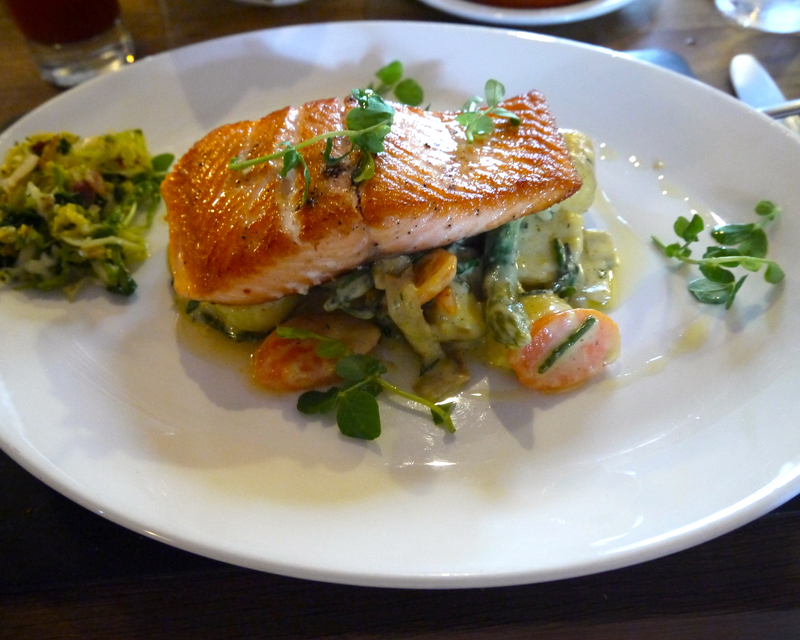 The Mole Inn prides itself for its sustainably sourced meats and produce. Fish is caught off the English coast and delivered daily. 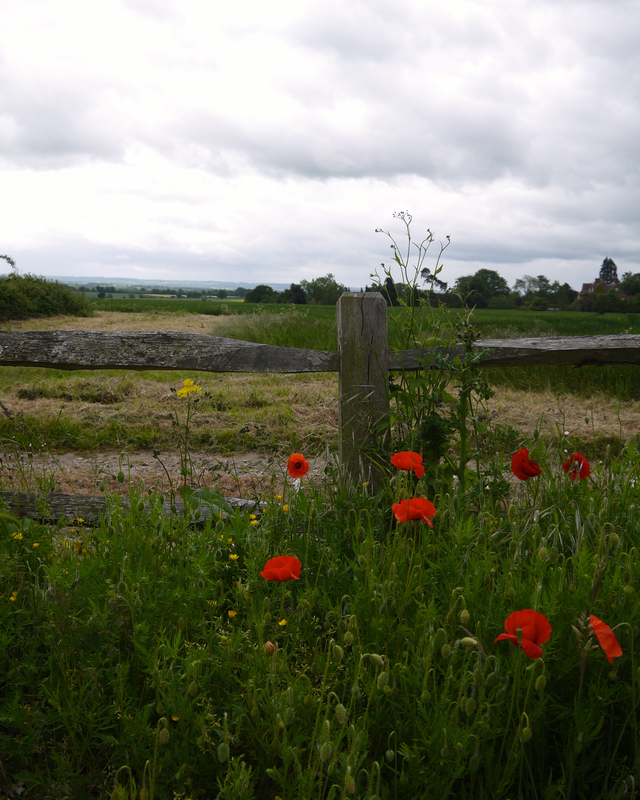 The cheeseboard is entirely British – supplied from a local cheese specialist in the Cotswolds. 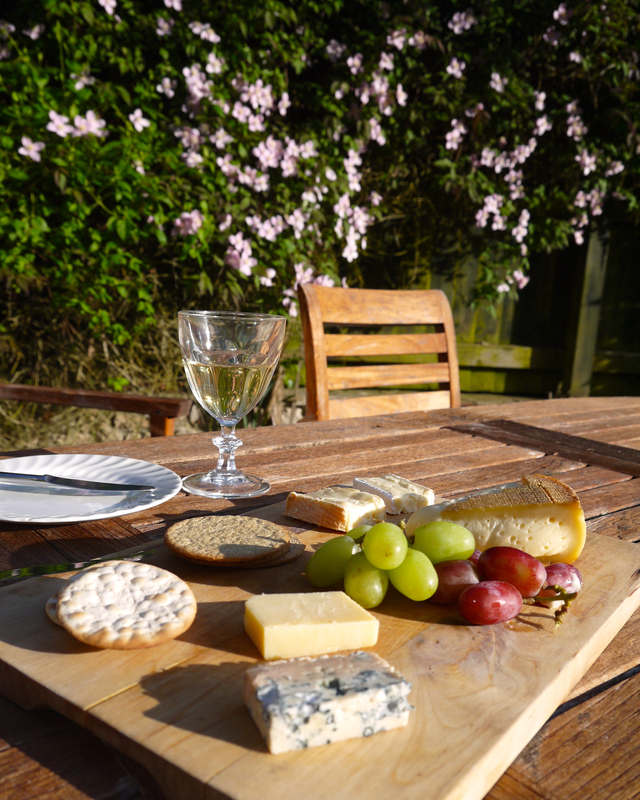 The meal was so filling we had to take the cheeseboard to go and finish it that evening in the garden. I am a card-carrying member of the UK cheese fan club – the British make delish cheese. Over time, I have become quite the fromage buff – my favorites are Wigmore and Stinking Bishop. 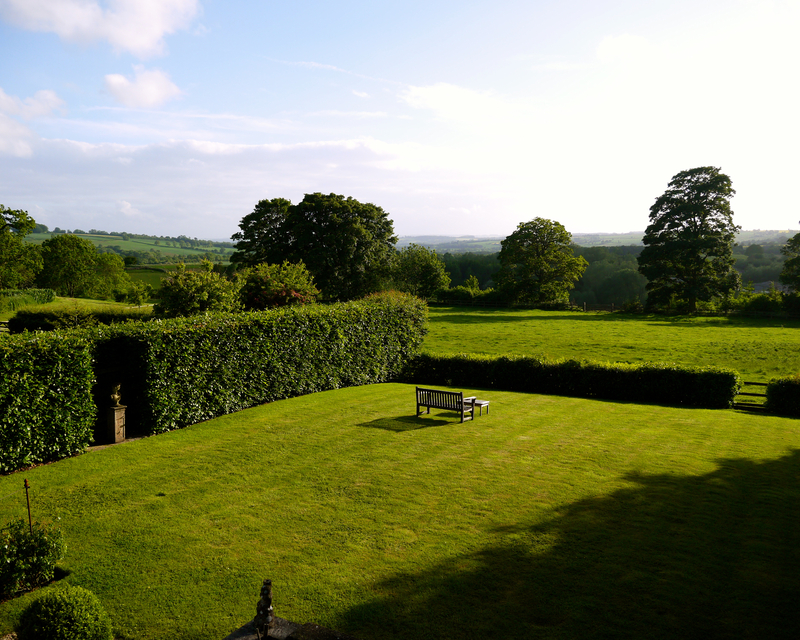 As sun sets in the country, I am one happy and sated bumpkin! 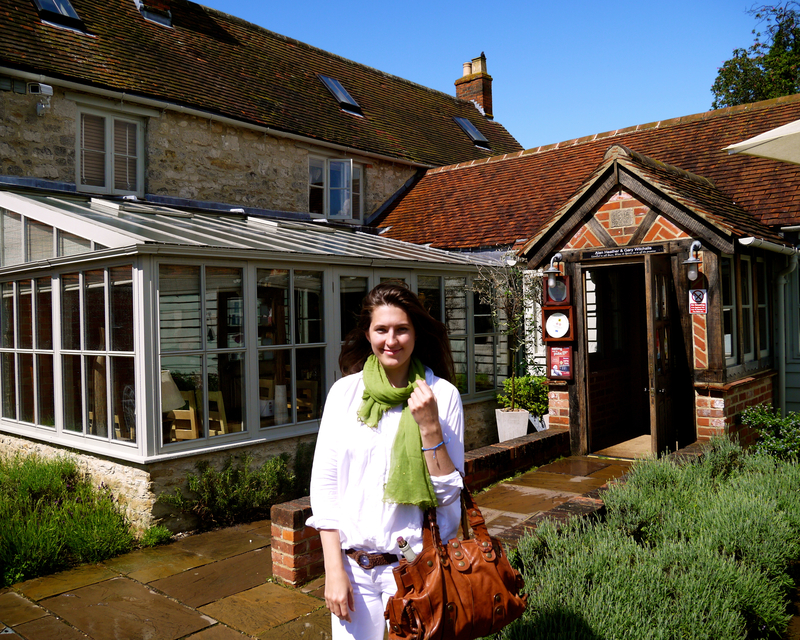 This entry was posted in Food, Travel and tagged American girl in London, British cheese, cheeseboard, Cotswolds, country lunch, English garden, food, Oxfordshire, Restaurant, The Mole Inn, Toot Baldon, Weekend on June 16, 2013 by godsavethescene.